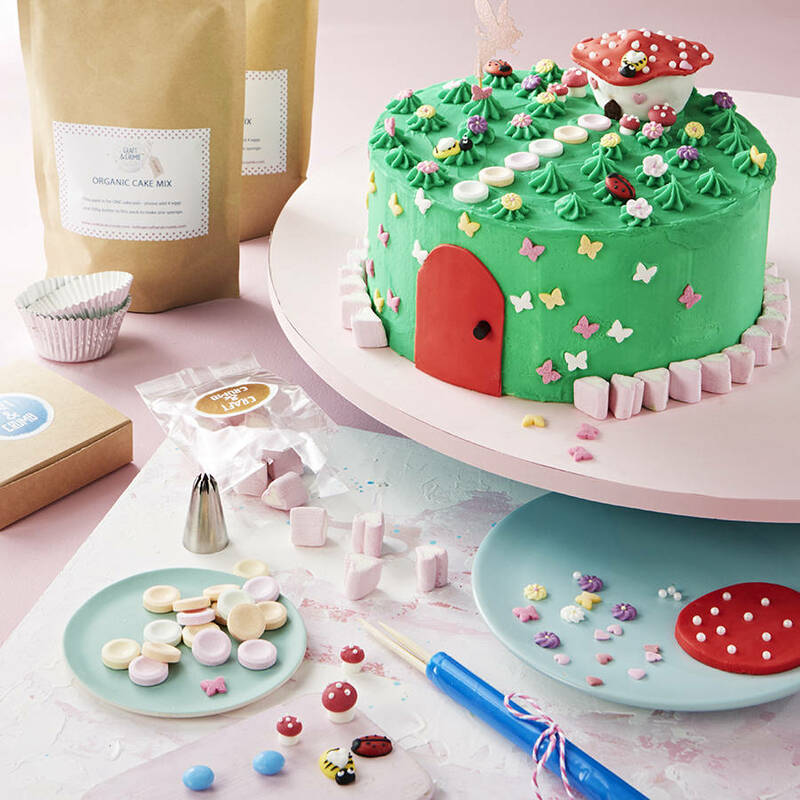 Our Enchanted Fairy Garden birthday cake kit comes with everything you need to bake a fairy-inspired delight for your favourite little girl. 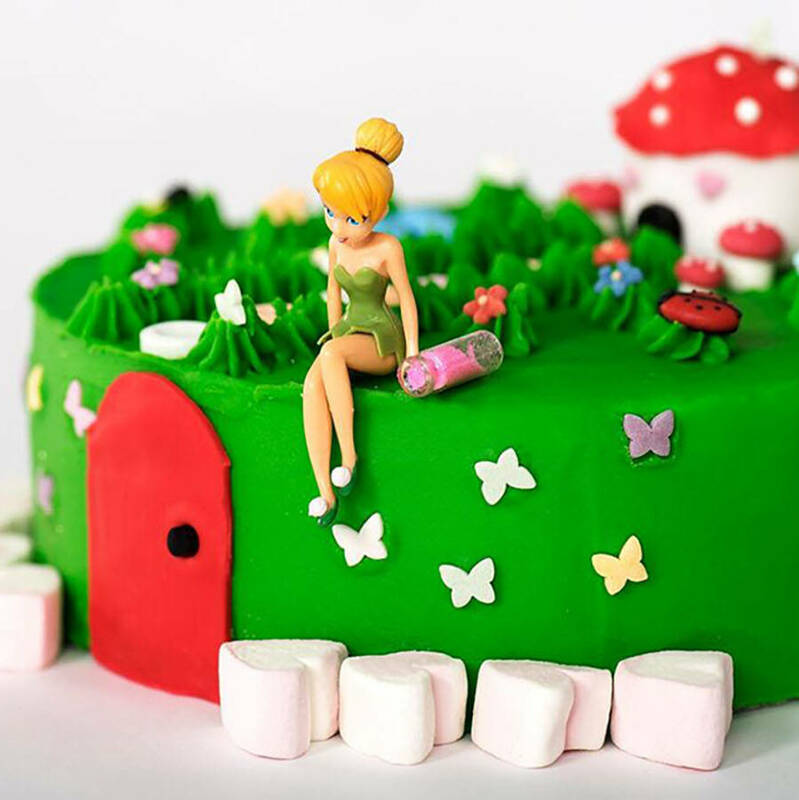 Tip toe quietly and keep your birthday serenades to a whisper; you won’t want to disturb the sweet fairies who live atop this magical garden design! It’s up to you whether you place your glitter fairy hiding amongst the candy flowers, or maybe sat upon her scrummy cupcake home. This kit has a shelf life of approx 4 months from date of purchase provided it's kept in suitable dry conditions. The cake serves approx. 20 ‘grown-up’ size slices or 30 child’s ‘party-bag’ size slices. Tinkerbell figurine but are available to buy - just contact us! 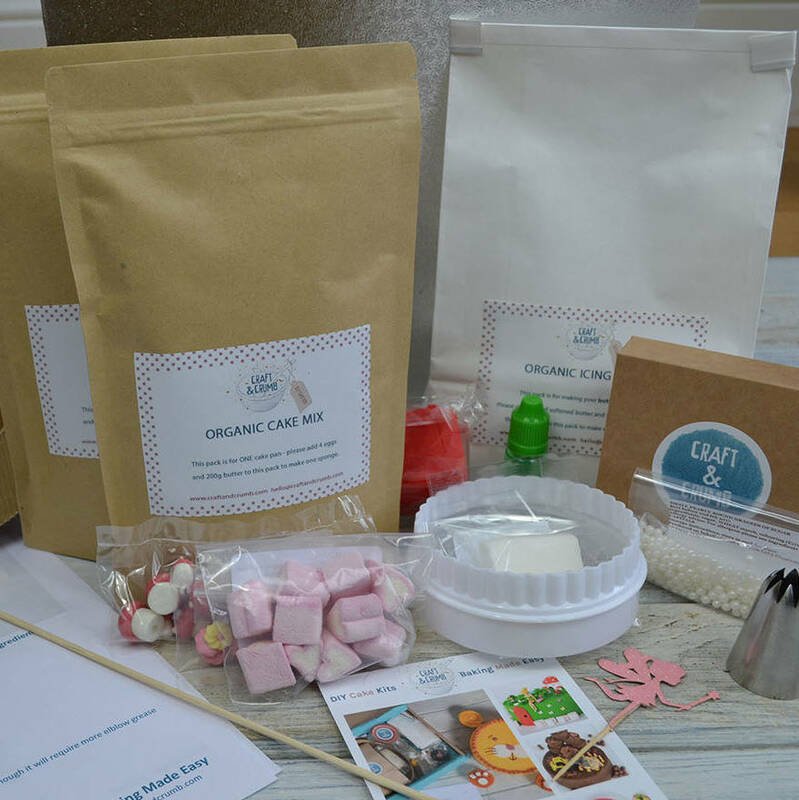 This cake is so easy to make when you've got all the high quality ingredients pre-measured and weighed out for your convenience and all beautifully packaged up and delivered directly to your door. 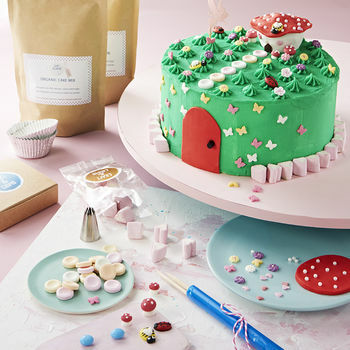 Simply add some eggs and butter and enjoy baking and decorating your show-stopper! Allergy Advice: For allergens, see ingredients in Bold. 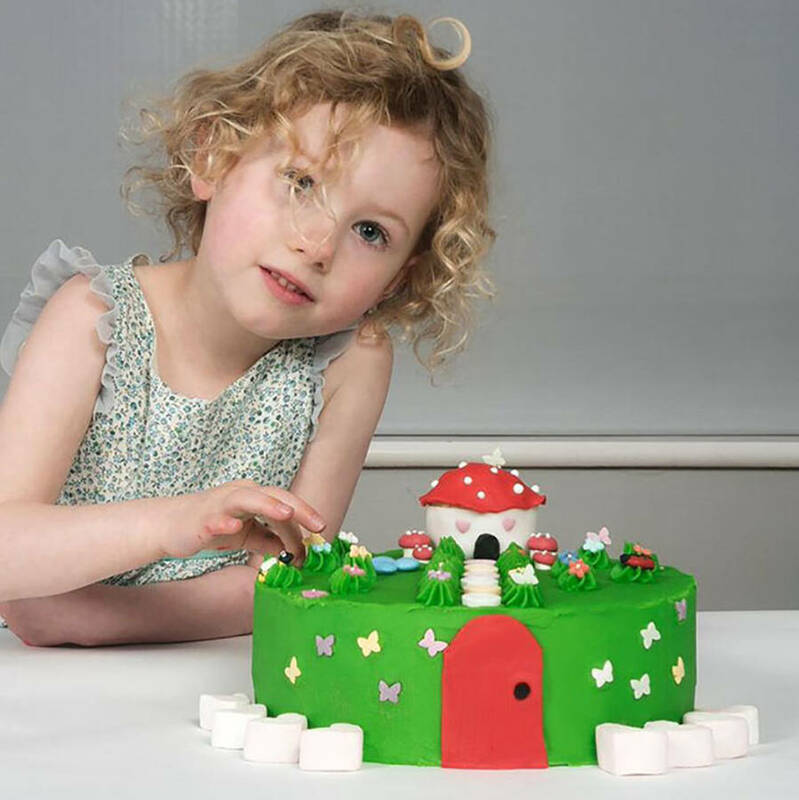 Our cake mix does not contain nuts however, traces of nuts may be present in some ingredients due to the manufacturing process of some products. Marshmallows: Sugar, Corn syrup, Water, beef gelatine, corn starch, flavouring. This product is dispatched to you by craft & crumb.